All our orphans and families are supported via the sponsorship program and one-time donations. By sponsoring an orphan you provide clothing, food, education, and other incidentals for that orphan. There is only one sponsor per child so it is a personal relationship of generosity and concern. 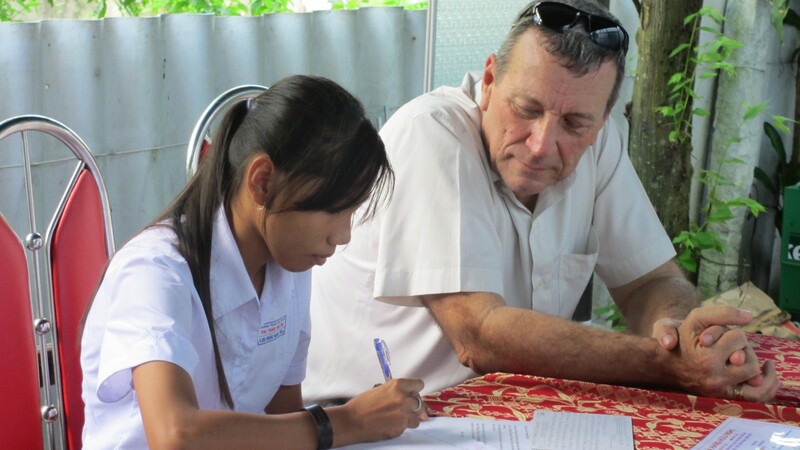 Sponsorship also provides the older children an opportunity to attend vocational training or a trade school. Because of the generosity of sponsors SEAOF has been instrumental in establishing many orphans in their own productive, small businesses; including motorcycle repair shops, metal fabrication, home construction, rope manufacturing, seamstress, tailors, custom clothing fabrication, livestock, produce farms, fruit orchards, and many others. We have young ladies who are seamstresses and they now operate their own tailor shops. Along with their own work they are also employed by SEAOF to make the clothing and school uniforms for other orphans enrolled in our program. Several of our young men work on construction crews employed by SEAOF to build our Hope Houses for other orphans. We even have young men who operate their own metal fabrication business; and they are also employed by SEAOF to manufacture the doors, windows, flashing, etc., for all our Hope Houses. Many of our orphans are now employed to perform various jobs for SEAOF; our goal is to use the skills and labor of our own orphans to help other orphans in our program. The goal of sponsorship is to ultimately help the child grow to become self-sufficient in life, and become a productive individual. It's good to see them grow, but it's great to see them succeed! Will I Get to Communicate with My Orphan? Yes, you will have opportunity to communicate with your orphan by mail through SEAOF. You will receive return letters from your orphan, provided they are old enough for correspondence; and you may request updates and recent photos of the orphan you sponsor. 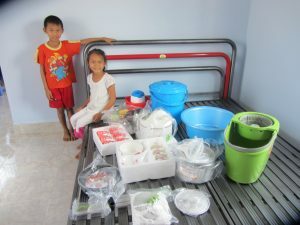 The best way to keep up to date with your orphan’s progress and to receive recent photos of them is via correspondence. It is also possible to send monetary gifts or make special donations for gifts to be purchased for them; however, we cannot accommodate receipt of items purchased as gifts for an orphan due to the shipping costs, logistics, and customs procedures involved. These things help keep SEAOF accountable, simplifies the process, and provides a very fulfilling experience for the sponsors and the orphans. Some of the more adventurous have even made a trip to Vietnam to visit the orphan they sponsor or to see the Hope House they built! There are some rules for communication, gifts, and visits for the protection of the children, and to respect the Vietnamese laws and culture; more details on this are available in the "FAQ" page of our site, and by contacting SEAOF. For $25 monthly you can sponsor an orphan. For $25 per person monthly you can sponsor a family (all orphans and the guardian living in a house). One time donations of any amount are appreciated as well. One time donations go to our General Account and are used in the way that best benefits the orphans. Primary examples of this would be: required funds to provide for orphans in our program which do not currently have a sponsor, costs of medical care for the children, costs for furthering the education and training needs of a child, funds required to establish an older child in a small business enterprise, purchasing transportation, such as bicycles or small motorcycles, costs incurred to perform maintenance on existing houses, just to name a few. For detailed information about our Sponsorship Programs, and how to become a Sponsor, please see the "Programs" page. Also, for questions such as, “What happens to my orphan if I must discontinue my support?” or “How long does an orphan need a sponsor?” and many more details concerning Sponsorship, please see the "FAQ" page.